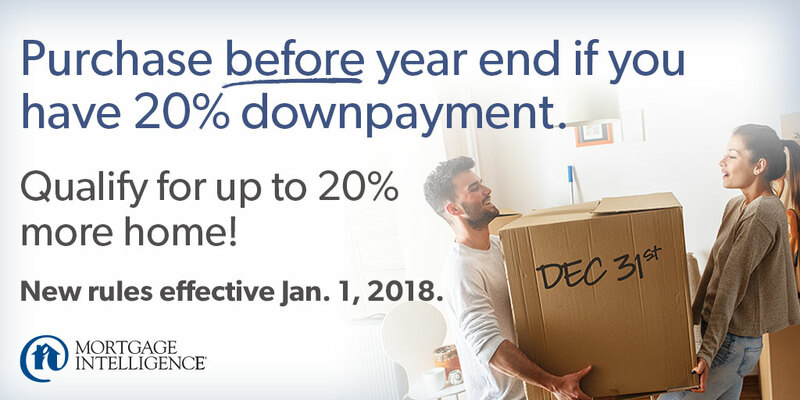 If you’re looking to buy and will have more than 20 percent down, or if you are considering refinancing, then you might want to do so before January 1, 2018. Why? On October 17, the Office of the Superintendent of Financial Institutions (OSFI) released new guidelines for residential mortgage underwriting at all federally regulated financial institutions. Starting from January 1, 2018, a new ‘stress test’ will be applied to all new conventional mortgages – and not just those mortgages that require mortgage insurance (downpayment or equity of less than 20%). You want to buy a home with more than 20% down. Your payments will always be based on your contract rate so this new rule isn’t costing you more. However, the new rule changes how much mortgage financing you would qualify for. If that’s the case, you may need to look at a less expensive home, save up for a larger downpayment, or reduce any other debt. Or we can take a look at a variable rate mortgage that lowers your qualifying rate (if the rate plus 2% is less than the benchmark 4.89%) and has the option to convert to a fixed mortgage. You want to refinance to pay off debt or buy an investment property. Here too, your actual mortgage payment will not be affected. But the new rule could slow you down by making it more difficult to qualify for your refinance. You may need to wait and accumulate more equity, or look at a lower-rate variable mortgage. 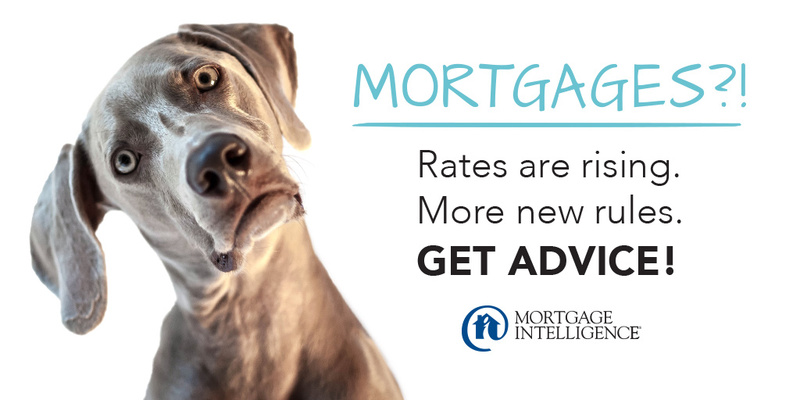 If that refinance is important to securing your own financial health, get in touch with the team at MiMortgage.ca ASAP. Get in touch now – you have the rest of 2017 to get in under the old rules. Going forward, we’re here to work with you early in the process to make sure you are fully prepared for your purchase or refinance. We also have access to non-federally regulated lenders that do not fall under this new guideline. We’re always here to answer your questions, so feel free to contact the experts at MiMortgage.ca at 1 866 452-1100 or by email any time! Categories: Homeownership, Interest rates, Mortgage Brokers, Mortgage Rates, Refinancing Mortgages, Your Home, Your Money | Tags: new guidelines, New Mortgage Rules, purchasing, refinancing, rule changes, stress test | Permalink. Ongoing support. Our services don’t stop after the mortgage closes. We will stay in touch with you for the life of your mortgage with advice and opportunities. With all changes that have taken place in the last twelve months, and the anticipated changes that are due to be announced soon, a mortgage broker’s role has never been more important. To find out more about how the new rules might effect you, contact the team at MiMortgage.ca at 1 866 452-1100 to speak to an expert now. Categories: Homeownership, Mortgage Brokers, Refinancing Mortgages, Uncategorized, Your Home, Your Money | Tags: Durham Mortgage Brokers, mortgage broker, Mortgage Brokers, Mortgage Brokers Oshawa | Permalink.